Aside from a steady increase in the number of murders in 2016, shooting incidents, which fall within the major crimes category, were recorded in all municipalities. 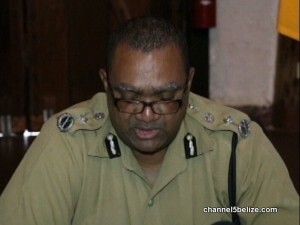 Belize District led the count, despite an overall reduction in the number of major crimes reported last year. That figure, which also includes stabbings and other violent crimes, fell by three point six percent when compared to 2015. Interestingly, the Cayo District has surpassed all other localities with a considerable spike in major crimes. Commissioner of Police Allen Whylie breaks down the statistics. P.M. to blame for arbitration judgments, says P.U.P. Did car scammer work with others?